The 107 residential sales in December 2017 represent an increase in volume of 15.1% when compared to the figure for December 2016. This increase is due to buyers rushing to purchase prior to the new mortgage rules for 2018. The average sale price in December climbed a modest 1.8% to $659,300 year over year, also up slightly from November’s figure. 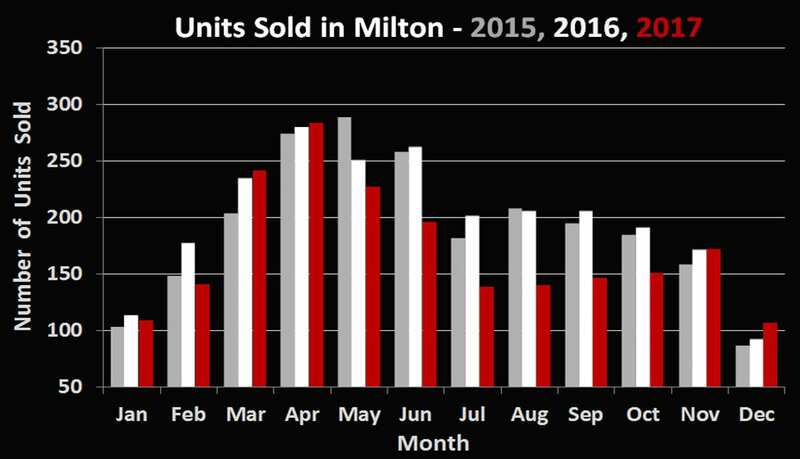 As is typical in real estate here in Ontario, December was our least active month in volume. 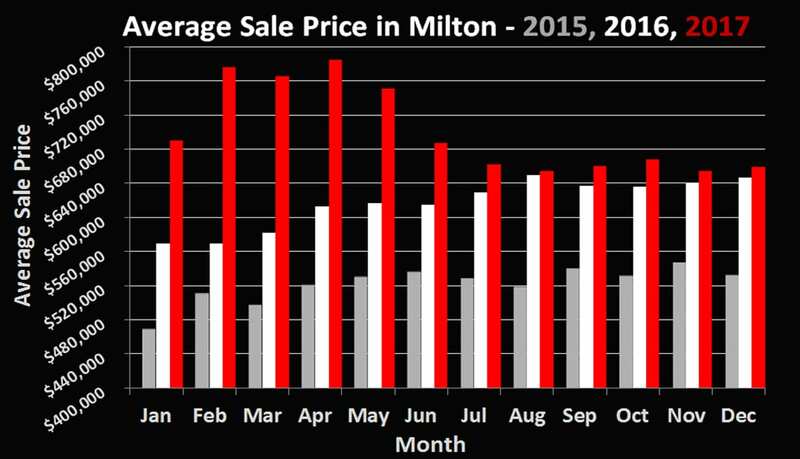 When looking at 2017 as a whole, the average price of a home sold in Milton was $710,300 (up 15.1% from 2016). Overall transactions decreased in volume to 2055 units, down 16.4% from the 2016 due in part to low inventory to start the year and buyer hesitation after the “Fair Housing Plan”. There are many opinions about what 2018 will bring for the real estate market. Predictions vary from anywhere to a 5% decrease to a 5% increase according to various economists and news sources. One thing seems certain though and that is that the market will be much more balanced than in 2017. Look for things to steady out and for prices to appreciate at a modest rate. Immigration will remain at an all time high (especially to the GTA area), while new construction still lags behind. It will be interesting to see if the Bank of Canada decides to raise interest rates again, and if so, when.